Classic spoked wheels make for great looks and easy handling. 865cc air-cooled DOHC parallel twin 360 degree firing interval. Bags of character. At the heart is a modern 865cc parallel-twin engine that’s fuel-injected for easy starting, sweet running and compliance to even the strictest modern emissions regulations. You’ll have to look twice though, as traditional carburetor bodies are used to disguise the throttle bodies. 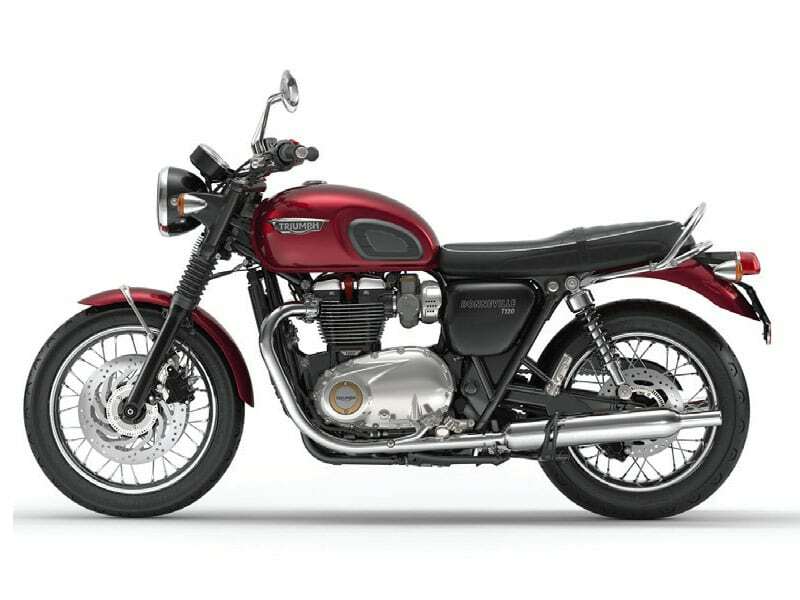 Pure sixties look with wire wheels, peashooter silencers, smooth topped seat with white piping and chromed tank badge confirming this Triumph’s authenticity. Authentic and stylish megaphone silencers recall an era of gentlemen racers.